Private tuition for general school subjects including.. Extra lessions after school will give your child the confidence to do better. 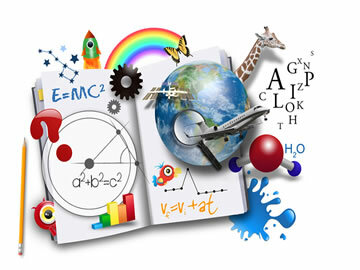 As an experienced teacher who has taught history, geography, chemistry, biology and physics over the years of my career, I am able to provide high quality tuition for your child. Whether they wish for tuition at primary or secondary level for any of the sciences, for SATs for GCSEs I can help boost their knowledge, grades and confidence. Should your child wish for tuition for History or Geography to GCSE or A Level, having taught these subjects to A level I can help. Revision plans, exam techniques and time management can help you child to perform better, thus they will feel more confident and prepared in the exams, resulting in improved grades. Both GCSEs and A Levels have changed, becoming more rigorous and no longer comprising a course work element. This means that results are all dependent upon performance on the day. Whilst this suits some students, the vast majority find that it adds pressure and stress, ultimately this can mean lower grades than which they deserve as nerves affect performance on the day. As a mother of a child who has just undertaken his own GCSEs this year I am fully aware of the stresses on both child and parents, particularly under the new style exams. Devising an individual programme of revision along with effective revision strategies are a great help, though unfortunately not all schools assist in this way. Tuition helps to fill the gap that schools do not provide. Good quality revision, along with knowledge on how to apply it is proven to make difference to grades. During my teaching career I have also taught Chemistry, Biology and Physics to GCSE level. Should your child require these subjects at primary or secondary level, core or additional, I have both the resources and knowledge to help boost your child's grade and confidence. Once again at GCSE level the exams have become more rigorous and require the recall of equations, facts and the periodic table. I can teach your child revision techniques, assist with areas that they may find more difficult, gap fill, build confidence and boost or consolidate grades as required. An initial assesment will identify weaknesses, so that a tailored individual programme of study can be formulated. For those sitting tests at the end of Key Stage 3, who wish to follow additional science pathway, tuition can help them to achieve the results required for them to be entered for the GCSE pathway. For those whom science is a struggle but are embarking upon a foundation pathway as it is compulsory with your school, tuition can help you to achive a pass grade. Obviously, the more passes achieved at GCSE level, the more career or further education choices are available to you. History is also affected by the changes in the exam structures, meaning it too has lost its coursework and a pass is dependent upon purely exam performance. Thus, it is very important that students not only know the content but also the exam question technique and time management. As a qualified historian who is also currently undertaking a History course on a Masters pathway I am well qualified to assist your child. Most GCSEs studied in schools study more recent events, however changes within the exam structure have brought about the addition of Medieval, and Early Modern British and European periods; continuing through to A Level. No matter what level of exam or exam board that your child is undertaking I will be able to help them prepare for the exam and assist your child to produce well-structured answers that explain their ideas clearly. English clearly plays an important part of the explanation of ideas and events. It is for this reason that History is a valued subject by further educational establishments as it enables students to think critically, weigh evidence and develop perspective and judgement. I have successfully taught Geography to both GCSE and A level, devising my own schemes of work to meet the requirements of the courses, whilst at the same time making the subject enjoyable for my students. Should you child require additional help with their revision I have the experience and resources to ensure that they progress. Geography is a hugely popular subject, yet few tutors cater for this area. The style of the exams changes from June 2018 for both GCSE and A levels. Students study three main areas: living with the physical environment, challenges in human environment and geographical applications. All are now exam based and course work is no longer undertaken. This means that knowledge and skills must be applied under full exam conditions, something that many students find stressful. In addition, students will require sound mathematical skills in order to collect and analyse data, which will be later used in the exam, as well as to be able to draw upon statistical skills. Thus your child may need not only support in the geographical elements but also in the mathematical elements used throughout the course and in the exam. Whichever exam board your child studies with, they can be supported and if their desire is to persue this subject to A Level they will be boosted to achieve a good pass, so that they can achieve the entry requirements in further education.